Chapters 1-17 of our Tutorials, now on DVD. Straightforward, clear, informative, no-nonsense video tutorials for beginner and more advanced trainers. * * SAVE UP TO 20% when you buy more than one of our own TUTORIAL DVDs. 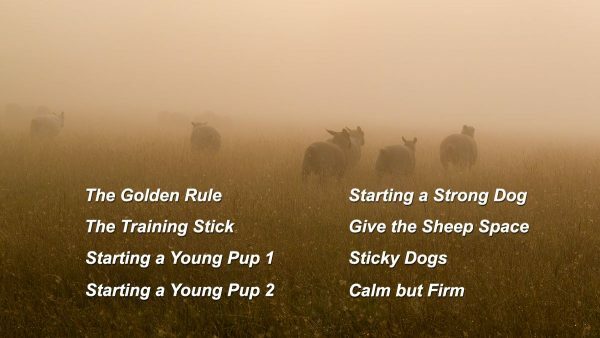 From The Golden Rule of Sheepdog Training and Starting a Puppy through to Driving, Shedding and Starting a Strong Dog and how to remain calm but firm during training. 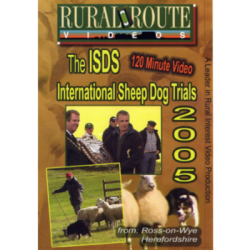 This great 2xDVD set contains the first 17 sheepdog training tutorials that originally appeared as part of the online tutorial programme on the Working Sheepdog Website. 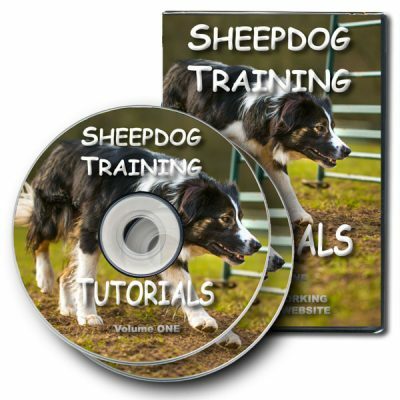 It covers the topics that most handlers have questions about – from your pup’s very first introduction to sheep, through outruns and how to improve them, close work including getting sheep into and out of a yard, giving the sheep space, and right up to more advanced work including driving and basic shedding. DVD – ALL Regions (we send the correct format for your location) – 16:9 Widescreen. Orders received by 2pm (UK time) are normally shipped the same working day. Orders received later or at weekends and holidays ship the next working day. English Subtitles available at no extra cost (at time of order). Please email us if you require English Subtitles. Disc one covers general issues of sheep work and how to get some control of your dog. First things first – revealed at last! The Golden Rule of Sheepdog Training! The Training Stick – how it can solve some common training problems. Starting a Young Puppy – 2 chapters – how to build confidence, right from the start. Starting a Strong Dog – A strong dog can be difficult to train, but it’s well worth the effort. Give the Sheep Space – It’s essential to keep the dog back off the sheep. Sticky Dogs! – how to cure what’s commonly known as “eye”. Calm but Firm – working with a sensitive but aggressive sheepdog. 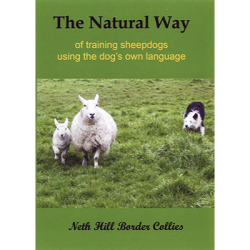 Disc two shows how to move on from the basics and teach the dog to do practical work around the farm. The Outrun – 2 chapters – get the outrun right and the rest should follow. 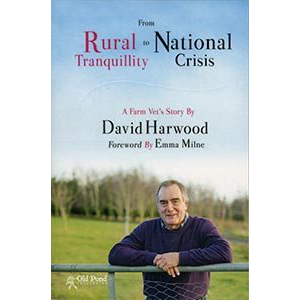 Close Work – 2 chapters – teach your dog to help with sheep management. 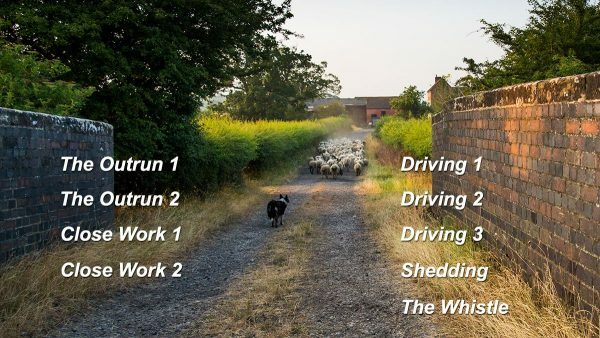 Driving – 3 chapters – how to put the sheep anywhere you want them. Shedding – more advanced work for sorting sheep out in the field. Cumulatively, the Sheepdog Training Tutorials DVDs are probably the most comprehensive sheepdog training programme currently available. Available in PAL and NTSC formats – all regions. We send the correct format DVD for your area.